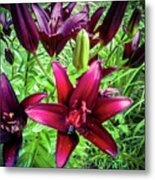 Deep Red Lillies by Jennifer Kohler - 10" x 8"
Deep Red Lillies poster by Jennifer Kohler. Our posters are produced on acid-free papers using archival inks to guarantee that they last a lifetime without fading or loss of color. All posters include a 1" white border around the image to allow for future framing and matting, if desired. 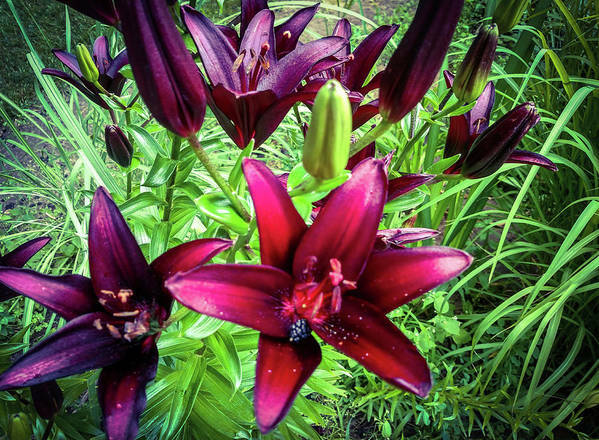 John, Thank you for the Feature in Images That Excite You! 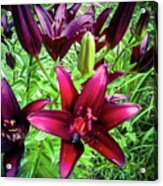 My Michigan Garden is home to many colors of lilies. 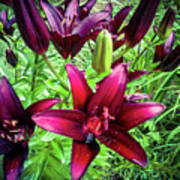 These Deep Red blooms are only one of the outstanding specimens.